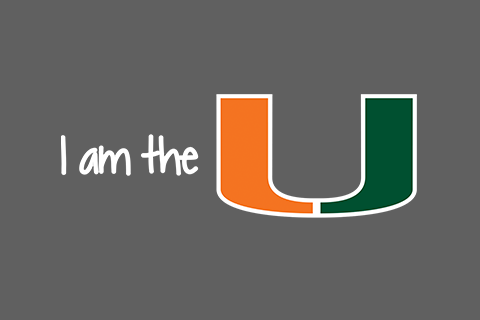 The I am the U new employee orientation experience is your introduction to the University of Miami. This interactive and engaging day will provide information about who we are, what we do, what we value, and what it means to work here. Depending on your start date, the location for the I am the U program may vary. Every location has its own specific parking instructions. However, all locations require a parking permit that is provided to new hires in the Welcome packet. Please be sure to review your welcome book to determine specific time, location and parking instructions. All new hires should dress in business casual attire for Orientation. Attire must be neat, clean, and appropriate for the workplace. Gables/RSMAS Campus new employees will take a picture for their ID badge following registration at 8:00 am. The session runs from 8:30am-1:00pm. Please arrive at 8:00 am for registration and ID pictures (for Gables/RSMAS employees). Sessions starts promptly at 8:30am and no new hires will be allowed into the session after that time. If you have any questions or should experience an unavoidable emergency that prevents you from attending, please contact Human Resources at (305) 284-3798. Any non-attendance without prior notification will postpone your first day of work. Continental breakfast and snacks will be provided to all participants. If you have special dietary needs please email iamtheu@miami.edu prior to your scheduled session. Click here to view a map of parking locations. Click here to view a printable list of questions to ask your supervisor. Employees that are a part of the Medical Division may be required to attend additional Orientation sessions; this requirement will be dependent upon on the individual role and work location. If required, information for these sessions will be provided in your offer letter. For questions, please contact your recruiter. Every Wednesday at 1 p.m.
Every Wednesday at 3 p.m.
Every other Wednesday at 10 a.m.
Click here to review a 'Canes Total Rewards guide and here to register for a 'Canes Total Rewards webcast. Note: Be sure to disable pop-up blockers on your web browser. For technical assistance with ULearn, please contact the University of Miami Information Technology Department at 305-284-6565 Option 1, then 5.